Take back your life and financial freedom by getting the help you need now. Get a FREE 1 Hour Consultation. Bankruptcy can immediately stop foreclosure when a loan modification or other means cannot. This may provide the relief that you need to get your finances in order. Our experienced attorneys at Idaho Bankruptcy Center can help you determine if your home or other property may be saved. Has your bank account been garnished or is a creditor garnishing your wages? Bankruptcy stops most garnishments immediately upon filing. Our experienced bankruptcy attorneys know how to stop garnishments. Get help today from a knowledgeable attorney. Your fresh start is just over the horizon! If you are like thousands of other individuals and families, you may be suffering with the prospect of losing a car, truck or other vehicle to repossession. With the assistance of Idaho Bankruptcy Center we can help you sort out your personal financial situation and determine the best course of action to pursue. Feeling Overwhelmed? We Can Help! Bankruptcy Attorneys in Boise, Meridian, & Eagle. Serving the entire Treasure Valley. 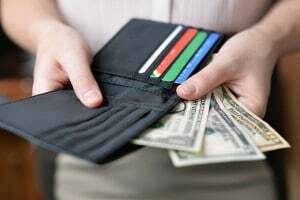 If you find yourself unable to keep up with your bills for whatever reason, working with a competent, credentialed debt relief firm may be the right choice for you to get a fresh start on your financial future. Bankruptcy is not a privilege. It’s the law. We can help anybody in need of bankruptcy keep their house, keep their money, and keep their car. Why Choose Idaho Bankruptcy Center? We’ll deal with your creditors and stop the harassing phone calls. We’ll educate you about all your options. A lawyer will handle every aspect of your bankruptcy. ”Glenn was the best lawyer I've ever worked with. He made everything simple and worked around my schedule. He always wanted to make sure he was doing the best he could for me and my situation. He treated me like a person, not a client. He turned a very stressful situation into something completely manageable. I will refer him time and time again without hesitation." Are You considering Bankruptcy and want to speak with an attorney?